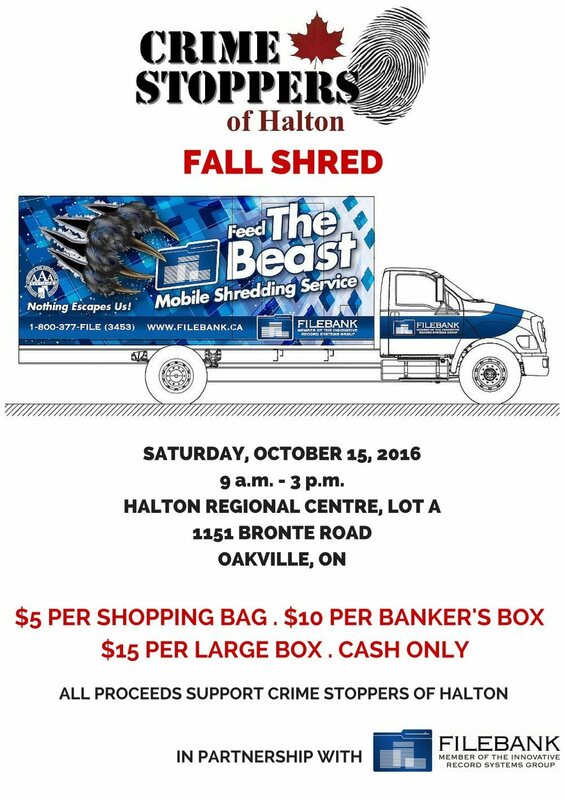 Join us for our next Shred event On October 15th 9:00am-3:00pm at Halton Region Centre 1151 Bronte Road (Lot A). Filebank has once again donated their trucks and employees for this important fundraising event. Come see "the beast" eat up your confidential materials in order to keep it out of the hands of fraudsters. This event raises much needed operating funds for Crime Stoppers so they can continue their work in keeping Halton Region the safest in the Country!